Advancement in pharmaceuticals has resulted in tens of thousands of prescription and non-prescription medications. A number of these medications are commonly prescribed. However not all medications are appropriate for all individuals, many are distributed in error. Some may be contraindicated for use in treatment of particular conditions or particular patients. 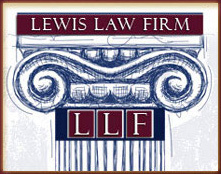 If you believe that you or a loved one was the victim of incorrect administration of medication error, please contact the Lewis Law Firm today. Even where no medication dispensing error occurs, otherwise reasonable and valid medications have been demonstrated to interact with other medications as well as herbal supplements. Individuals with chronic medical conditions may take a staggering number of medications daily. Medication errors involving drug reactions are not always readily identifiable and could take time to diagnose. That time could be the difference between treatment and tragedy. If you believe that you or a loved one was the victim of a medication error involving drug interaction, please contact the Lewis Law Firm today. Click here to see some of our many Winning Results. Malpractice happens each time a physician or medical center provides substandard treatment or ceases to properly diagnose a patient’s medical problem, and this brings about their condition to worsen or leads to a new personal injury. Sometimes medical malpractice is the consequence of doctor or hospital's absence thoroughness, such as failing to offer the necessary examination or performing a great incomplete evaluation. Even so, simply because there is a poor result won't mean there has been malpractice. On event, medical malpractice is actually obvious, but in the majority of cases there usually are complex medical troubles, which need to become thoroughly evaluated. A medication error is understood to be a preventable situation ultimately causing the incorrect using medications, which causes injuries or death towards the patient. The event is the effect of a mistake at some time that the drug will be controlled by a health care provider, nurse, aide, pharmacologist or pharmacy clerk. Contributing factors could be how the solution is labeled, precisely how it’s dispensed and also how it’s distributed. Patient errors may also occur when medicines are taken with no medical supervision. Certainly there are generally instance where children's condition is a result of genetics, such like a chromosomal disorder, however far in order to often these life altering conditions are the effect of malpractice. For case in point, significant injuries may appear when the health practitioner or nurse fails to read (or inaccurately reads) the fetal monitory strip. If the strip indicate fetal distress then this doctor must act immediately, otherwise the fetus might be deprived of its vital oxygen provide. As result this delay the baby can sustain mind damage that has been avoided. In various other cases, the misuse connected with forceps or machine during delivery might cause traumatic brain injuries. The newbornes skull is very soft, there if an excessive amount of pressure is applied there is a direct trauma for the brain. Medical Malpractice is really a frequent cause associated with traumatic injuries while in birth. At Attorney Lewis our team of lawyers and expert medical consultants pride themselves about helping families uncover whether medical errors were responsible for these devastating accidents. Cerebral palsy and other birth injuries can take place during the distribution process or simply by improper prenatal treatment. If a health practitioner or nurse fails recognize fetal worry or responds too slowly your youngster could suffer a life time disability. We are usually experienced in coping with and understanding most of these complex medical problems. Malpractice happens if a physician or infirmary provides substandard treatment or fails to properly diagnose a patient’s sickness, and this leads to their condition for you to worsen or ends in a new personal injury. Sometimes medical malpractice is the consequence of doctor or hospital's absence thoroughness, such as failing to give the necessary check or performing the incomplete evaluation. Nevertheless, simply because there was a poor result does not mean there was malpractice. On special occasion, medical malpractice can be obvious, but in many cases there are complex medical concerns, which need to be thoroughly evaluated. Medical Malpractice is often a frequent cause involving traumatic injuries throughout birth. At Attorney Lewis all of us of lawyers and also expert medical specialists pride themselves on helping families find out whether medical errors were accountable for these devastating injuries. Cerebral palsy along with other birth injuries can happen during the supply process or through improper prenatal treatment. If a medical doctor or nurse fails recognize fetal hardship or responds too slowly your kids could suffer a life long disability. We are experienced in managing and understanding these kinds of complex medical problems. Certainly there are generally instance where kid's condition is caused by genetics, such as being a chromosomal disorder, however far to often these living altering conditions are a result of malpractice. For instance, significant injuries can happen when the health practitioner or nurse doesn't read (or inaccurately reads) the fetal monitory strip. If the pieces indicate fetal distress then your doctor must react immediately, otherwise the fetus could possibly be deprived of it is vital oxygen present. As result this delay the little one can sustain human brain damage that could have been avoided. In various other cases, the misuse regarding forceps or hoover during delivery could potentially cause traumatic brain injury. The newbornes skull is very soft, there if excessive pressure is applied there may be a direct trauma towards brain. A medication error is understood to be a preventable situation resulting in the incorrect by using medications, which causes injury or death towards the patient. The event is caused by mistake at time that the drug has been controlled by doctor, nurse, aide, druggist or pharmacy clerk. Contributing factors can be how the item is labeled, precisely how it’s dispensed and how it’s dispersed. 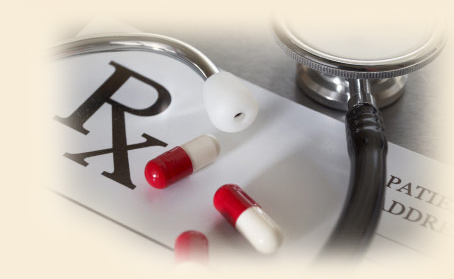 Patient errors could also occur when prescription drugs are taken without medical supervision. Medical Malpractice is really a frequent cause regarding traumatic injuries during birth. At Attorney Lewis our team of lawyers and also expert medical experts pride themselves upon helping families reveal whether medical errors were accountable for these devastating accidents. Cerebral palsy and also other birth injuries can take place during the supply process or simply by improper prenatal care. If a physician or nurse isn't able recognize fetal worry or responds too slowly your child could suffer a life time disability. We are usually experienced in dealing with and understanding these kind of complex medical problems.